Hello singaporean companies and many companies running businesses in singapore, we are happy to support your events / conferences / meetings in singapore by using our rental services. Do you have events or exhibition? Our plasma TV rental is for your rental. Our plasma TV ranges from 42' - 60'. Just tell us what the size of your plasma TV. Or you just tell us the purpose of the event, we try to give you advise for better plasma TV that can be rented. Mostly TV Plasma can be confused with TV LCD / LED TV Rental. Do you want to speak before audience ? Do you want to record A video to be presented later or want to endorse some products? 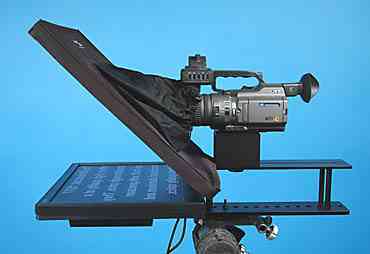 Then you need to read moving text via speech teleprompter or shooting camera teleprompter. How big is your meeting / events. Our screen can fit your events. We have several size and types of projection screen for your rental. From smal portable projection lcd screen to giant cineplex fastfold projection infocus screen. All is for your successful conferences. Our projector or infocus rental is available in any types and sizes depending the size of your conferences. to have a succesful meeting discussion, you will need an equipment that will help you to discuss effectively. Desktop mic or delegates microphone are available to rent. We will setup wired desktop microphone to support your effective discussion among audience accross the hall. How many languages used and spoken during your conference? If more than one language spoken during the discussion and meeting, You would have to need a simultaneous interpretation system machine. Simultaneous interpreter system is a must for rental for the sake or the effective & successful conference discussion. For small medium presentation, just use LCD / LED TV for your presentation at your client's site or during the exhibition. This is central processing unit to process interpretation interpreting. Our system is based on Infra Red simultaneous interpretation system and designed to offer 4-channel or 6-channel language distribution for simultaneous interpretation / interpreter using the advanced infrared light transmission technology. For better understanding of interpretation system rental, click here ! Need to hold a remote meeting, then we have a solution of Video Conference rental or you can say A Teleconference video rental at your premise. Do you need Mic to make a conference call using RJ11 land line phone? It's easy to run that conference audio call from A Office to B Office. Just call us to have Audio Mic Desktop Conference rental as well as built-in speaker. So again just WA: +65 92757274 and our Sales Manager will handle your query regarding the rental need of simultaneous interpreter system for good interpretation during conference. Need Promotional T shirt ?